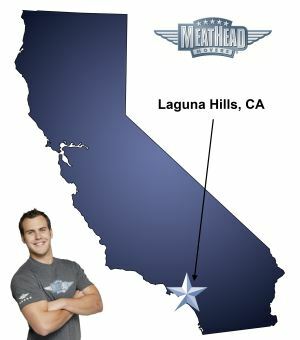 For a trouble-free move to Laguna Hills, Meathead Movers is the company for you! Our professionally trained student-athlete movers are ready to get you into your new Laguna Hills home. Now that you have made the excellent choice of moving to Laguna Hills, you will need to find the perfect moving company. You have come to the right place because our Laguna Hills Movers are the best around. Meathead Movers has won awards ranging from the US Small Business Administration’s Young Entrepreneurs of the Year to being ranked the #1 Moving Company by the LA Weekly. We look forward to showing you why our trophy room is chalk full of distinctions. One of the reasons why Laguna Hills is such a wonderful place to live is its focus on the arts. Laguna Hills has ensured that people can see the city’s history depicted in artworks by commissioning several pieces of art that are currently being displayed around the Civic Center. The Civic Center’s Public Art-School Curriculum helps ensure that children are exposed to art throughout their schooling. Laguna Hills is also a place for people to further explore their passions. The city has several classes where people can learn new things and get to know others in the community, including dance, music and fitness classes. The city also gives teenagers a chance to interact with the community by offering a volunteer program just for them called “Teens Make a Difference.” Laguna Hills has a strong focus on community and is the perfect place to raise a family. Several features make us different from other moving companies, but the major feature that makes us unique is the fact that we only hire student-athletes. These athletes are drug- and smoke-free, and they jog when they aren’t carrying your things. No other company can compete with the Meathead Hustle. Furthermore, our moving crews will only focus on you and your belongings. We never place your things in the same truck as someone else’s property, providing a level of accountability that can’t be beat. At Meathead Movers, we offer fixed pricing for long-distance moves so you don’t have to worry about hidden fees. We are so confident you’ll be happy, we stand behind our work with an unprecedented, industry first, 100% satisfaction guarantee. We’re committed to making your move to Laguna Hills a pleasant experience. Whether it be a local, long-distance, or commercial move, Meathead Movers will take care of all the heavy lifting for you. We also provide reliable packing, storage, on-site relocations, and our distinctive moving concierge service. You can read honest reviews about our moving services by clicking here. Our Laguna Hills Movers will do everything they can to make your next move a positive and stress-free transition. Call us now for a free no-obligation quote. Moving to Laguna Hills? Here are some helpful resources. View more Laguna Hills resources. Friendly, courteous, helpful, answered all my questions, careful with everything. Arrived on time for the packing, loading and delivery. No complaints. Great people, courteous, professional and nice. 3 young men were professional, curteous, careful and efficient movers. Professional, timely, and were extremely careful.